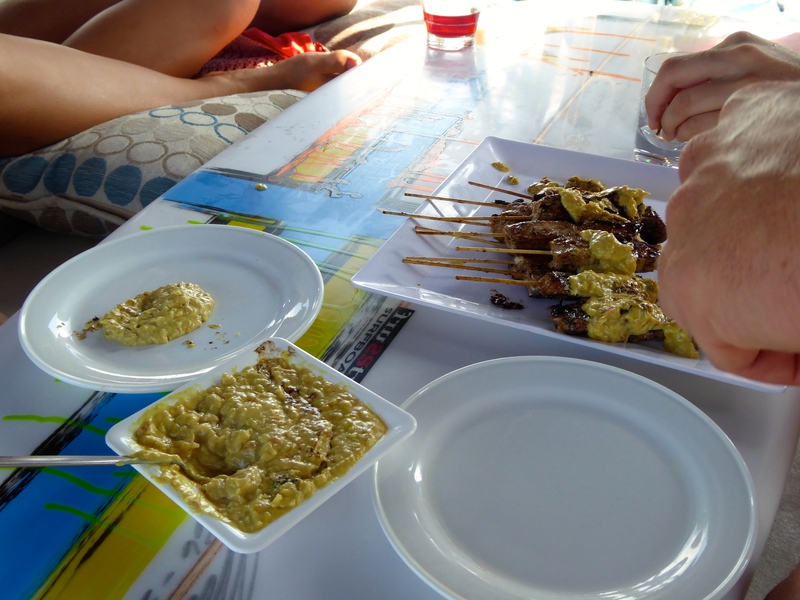 Cooking with Local Ingredients | Gourmet from the galley! 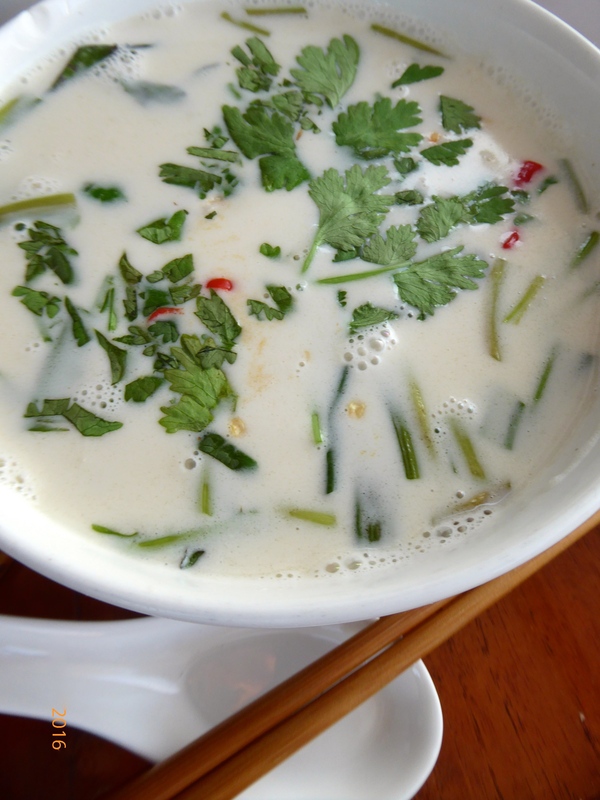 Tom Kha Gai, aka Thai Chicken Coconut Soup, is one of my absolute favourites! Now that we are back in Phuket I thought it was about time I made it. 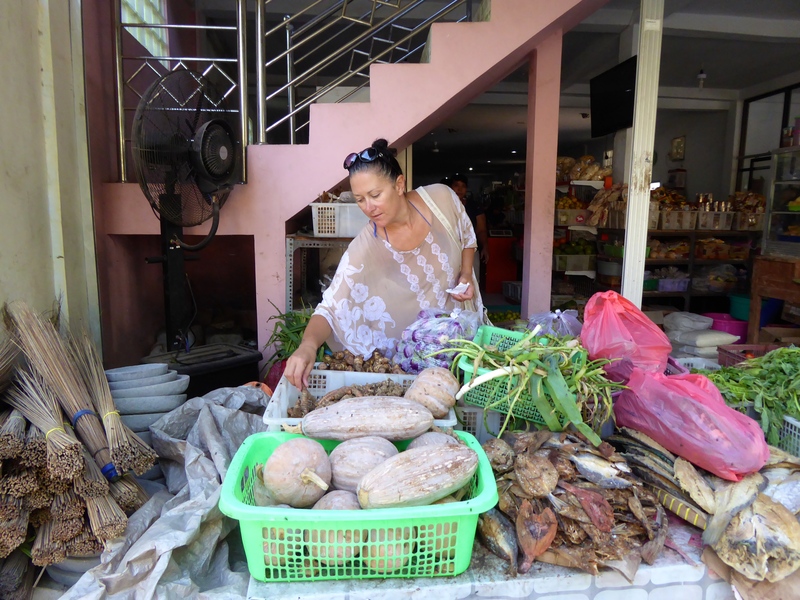 I first discovered this soup when Dwayne and I visited Phuket in 2007. I gotta say, I was a little reserved about trying a coconut soup… it didn’t look that appetising, but it was delicious! So flavoursome in fact, that I sat there tasting it and deciphering the flavours so I would be able to make it myself when I got back home. 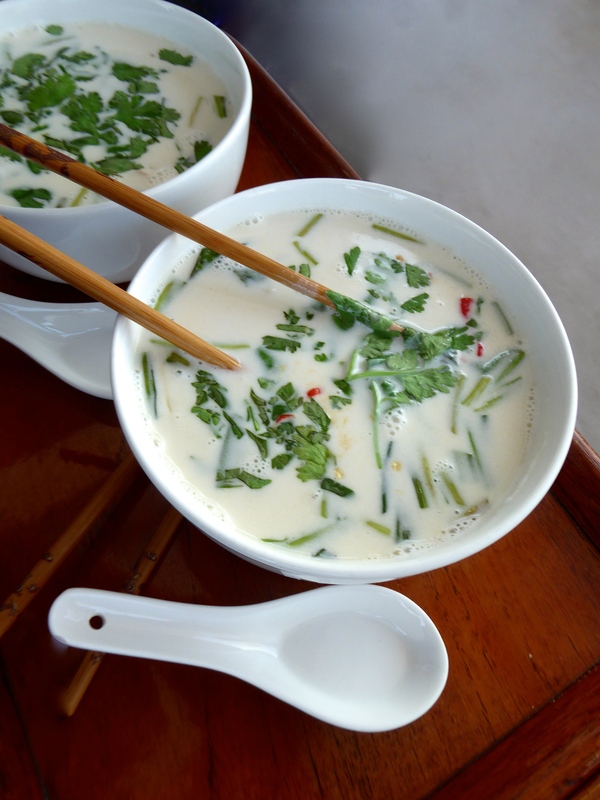 I think my tastebuds did a good job of recognising the ingredients and my Tom Kha Gai is delicious….. if I do say so myself! However, I don’t have a recipe to share with you as I cook it by taste every time I make it, and I forgot to write it down as I cooked it this time for the blog… doh! But I do remember what goes in it and what I did so I will explain it the best I can. I heated 1 cup of chicken stock and added about 8 kaffir lime leaves bruised and ripped apart, two sticks of lemon grass – the hard part remove and the inner white part bashed with a mallet; a couple of crushed garlic cloves, a 2cm piece of galangal, thinly sliced, a 2cm piece of ginger, thinly sliced and some chopped chilli. I simmered it for 1/2 hour, then I added some chopped chicken and simmered for 10 minutes before adding the coconut milk (approx 250ml) and a handful of enoki mushrooms*. I simmered the soup for another 5 minutes and then added fish sauce, to taste, and a handful of coriander. To serve, I ladled the soup into two large deep bowls and garnished with some more chopped coriander. It is so easy to make and delicious! When I make Tom Kha Gai for Dwayne and I, I do not remove the chunks of ginger, galangal etc when I serve it, as this is how I have had it served to me most of the time in Thailand. However, when I have prepared this soup for guests I have strained the soup before I add the coconut milk, chicken, mushrooms, fish sauce and coriander. *Shitake, or oyster mushrooms are more often used in Tom Kha Gai but enoki mushrooms were what I had at the time. 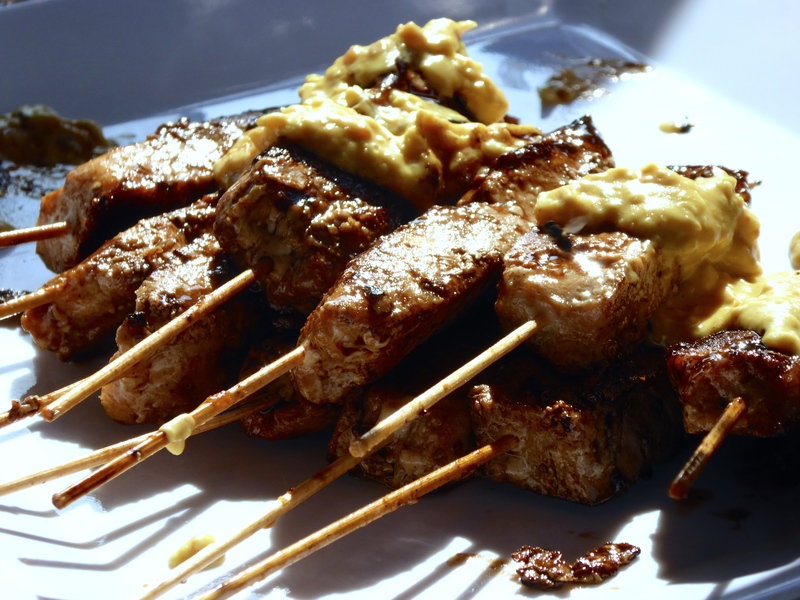 Why don’t you pin this recipe so you will always know where to find it!